Like most small island developing states (SIDS), the countries of the Organisation of Eastern Caribbean States (OECS) spend a large part of their earnings on imported fossil fuels to meet their energy needs, yet they also boast high levels of solar radiation, good wind regimes, and impressive geothermal potential. 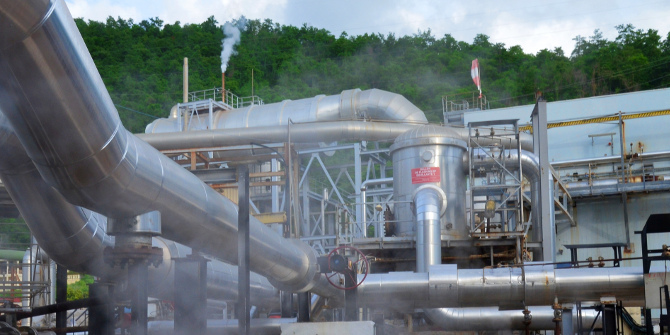 Surface studies on Saint Kitts, carried out by a geothermal company from nearby Guadeloupe, are still ongoing, but preliminary results indicate the potential for a geothermal plant of 18-36 MW. On sister island Nevis additional testing is required, but a plant of 9 MW is being considered. Aside from this important role of the private sector in capitalising geothermal projects, Eastern Caribbean states are seeking innovative financing options that will not negatively impact the electricity tariffs expected from geothermal generation. Since geothermal energy development constitutes a novel undertaking for most of the Eastern Caribbean, capacity building will also be key. Geothermal energy development will require input from several professional fields, but will also require specialised knowledge and skills. Once geothermal plants are built, close management will be needed as they require careful optimisation over time. As such, a holistic approach is key to achieving best practices in terms of field appraisal, project development, drilling, and operation, thereby ensuring that geothermal projects achieve their anticipated economic performance.